(1 Customer Reviews) | Write Review 52 issues per year The Rugby Paper, the UK's number 1 selling rugby title, brings you exclusive stories, reports and features on your device, published in exceptional clarity. It contains renowned journalists such as Nick Cain and Peter Jackson, and famous former players as columnists including Jeremy Guscott and Jeff Probyn. 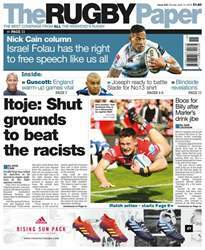 Published every Sunday, The Rugby Paper covers Rugby Union from national teams and Premiership / Rabo Direct down to grass roots. 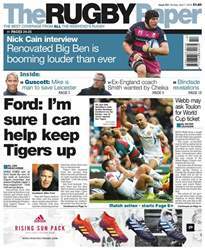 Looking for The Rugby Paper in print? 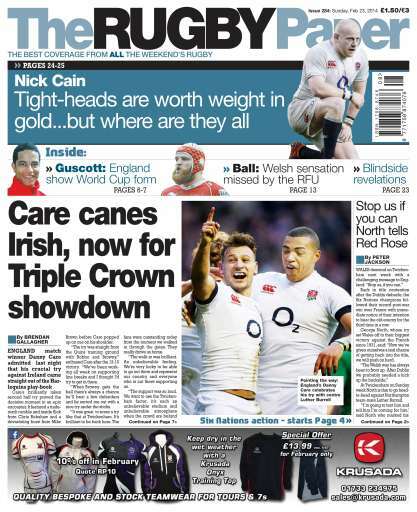 Unfortunately pocketmags.com does not sell print copies of The Rugby Paper, but all is not lost. Our partner at magazine.co.uk sells print subscriptions at the best prices online. 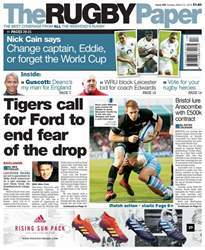 The Rugby Paper, the UK's number 1 selling rugby title, brings you exclusive stories, reports and features on your device, published in exceptional clarity. It contains renowned journalists such as Nick Cain and Peter Jackson, and famous former players as columnists including Jeremy Guscott and Jeff Probyn. 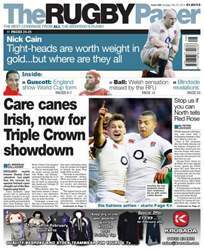 Published every Sunday, The Rugby Paper covers Rugby Union from national teams and Premiership / Rabo Direct down to grass roots. You'll receive 52 issues during a 1 year The Rugby Paper magazine subscription. Brilliant to read dedicated rugby coverage every week. You'll receive 52 issues during a 1 year The Rugby Paper magazine print subscription.